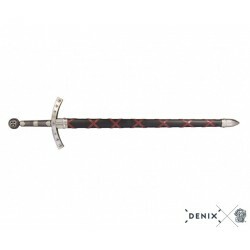 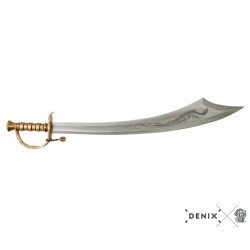 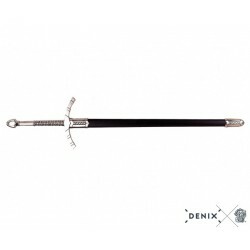 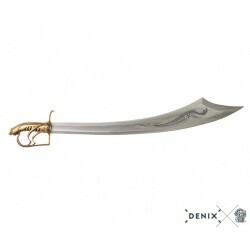 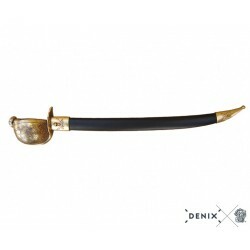 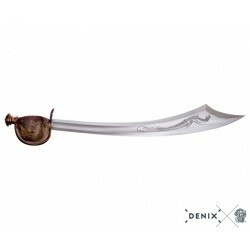 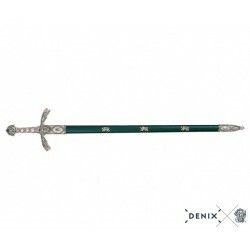 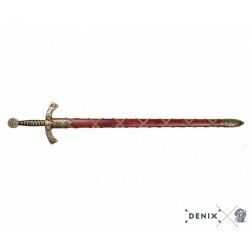 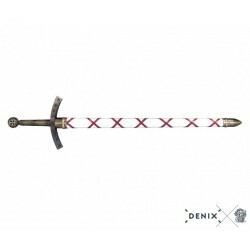 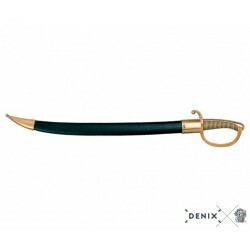 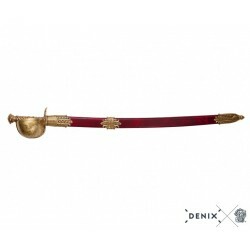 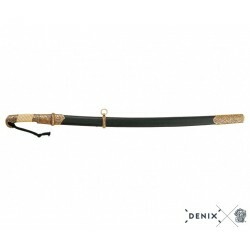 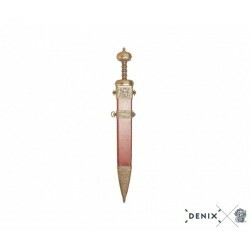 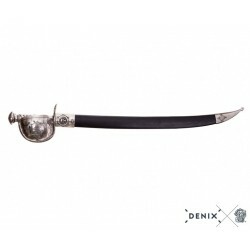 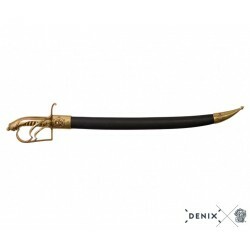 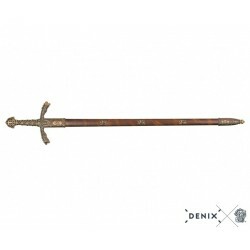 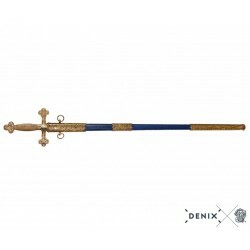 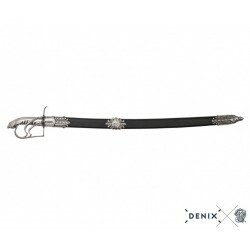 > Denix Répliques Historiques>Denix Épées>Denix 4140 Roman Sword, gladius hispaniensis. 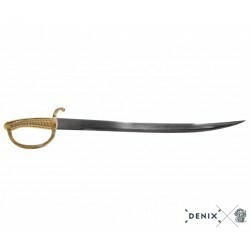 First C. b.C. 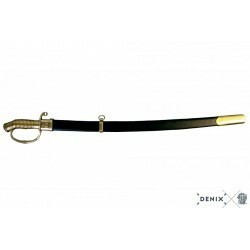 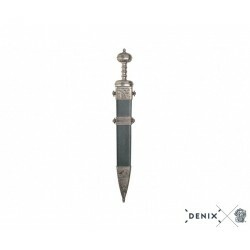 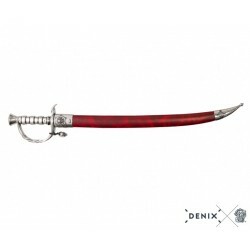 Denix 4140 Roman Sword, gladius hispaniensis. 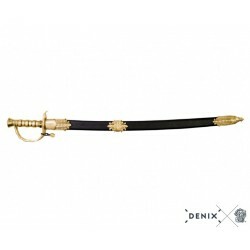 First C. b.C. 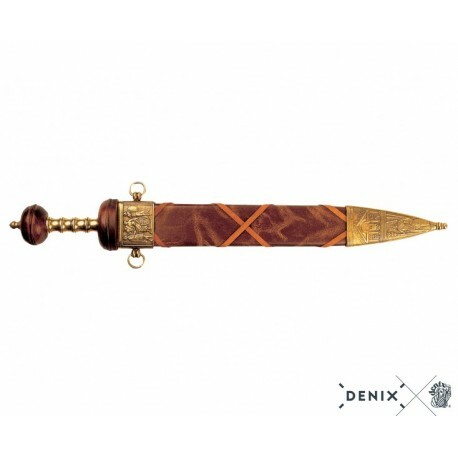 The Roman Sword, or Gladius, evolved from weapons captured during the Romans' campaign in the Iberian peninsula. 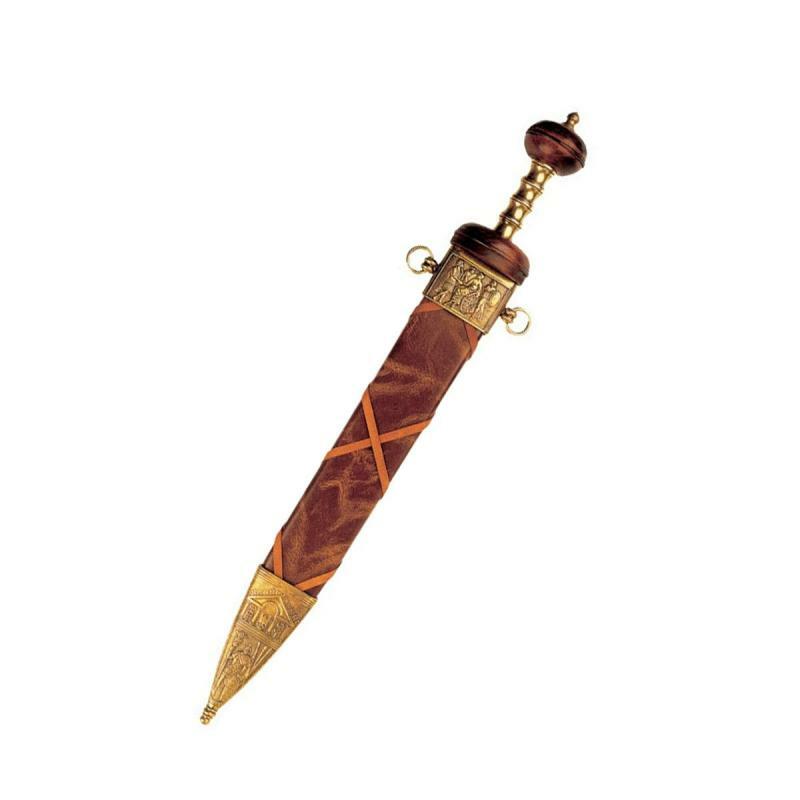 By the first century A.D., it had been refined to the form shown in this replica. 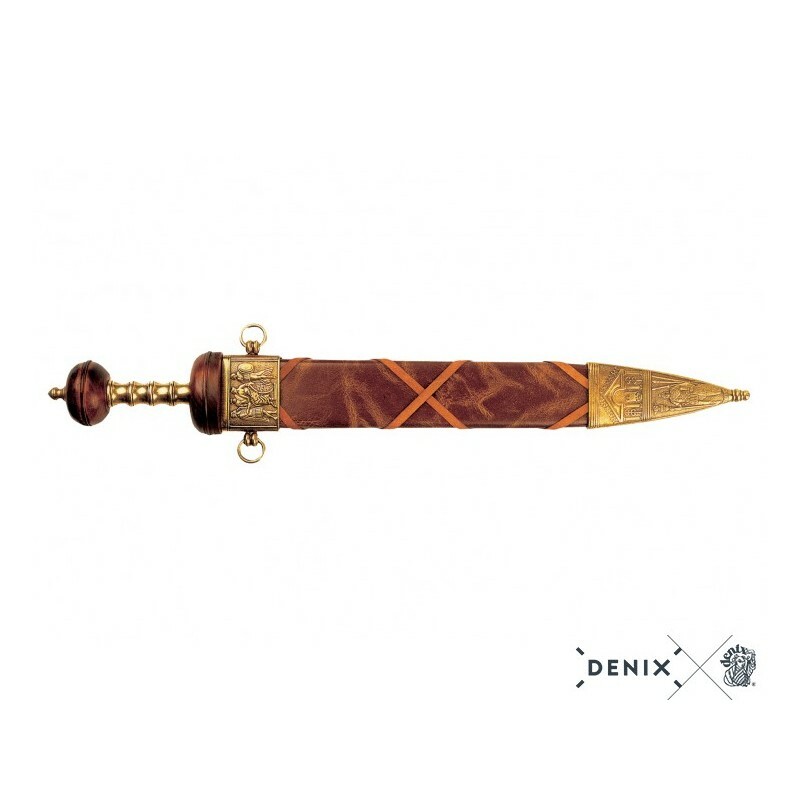 The short stabbing blade, slightly waisted and abruptly pointed had shown its worth in many campaigns, and officer's models were showing surprising levels of artistry in their decoration.